HB Steel is a leader in the steel service industry supplying a wide variety of steel products. These commercial quality steel products are made for use in a variety of industries including roofing, construction, HVAC, metal stamping, precision sheet metal, and manufacturing. Steel products are available in a range of gauges, sizes, shapes and grades, each with a range of properties for differing applications. 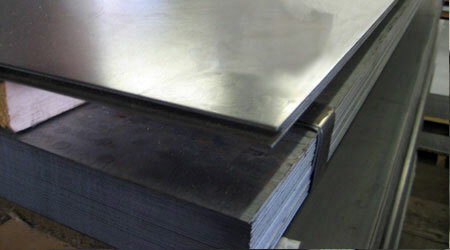 Hot rolled steel sheet is an economical product when surface quality is of secondary importance. Because of the way commercial quality hot rolled steel sheet is produced, the steel sheets do not have a high degree of uniformity in properties and chemical composition. Commercial quality hot rolled steel sheet is recommended for unexposed applications or where finish is not a primary concern. Hot rolled steel sheet is bendable, weldable and paintable. 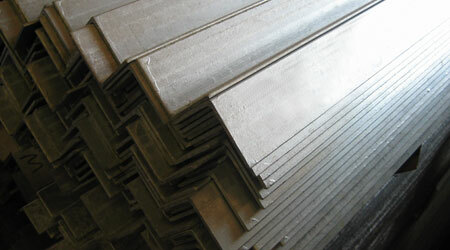 Hot rolled steel sheet is available in thicknesses from 16 gauge (.056") to 7 gauge (.180"), in widths from 48" to 72". Begin placing an order for Hot Rolled or Cold Rolled Steel Products by choosing it from our products list. If you have a requirement/inquiry for an item, please send us the inquiry via email sales@hbsteel.com, phone 718-389-4080 or fax 718-383-1646.
products, galvanized, pickled & oiled steel products for various industries.